LASCAM systems / LASCAM news / Visit LASCAM at the International Engineering Fair in Nitra! Visit LASCAM at the International Engineering Fair in Nitra! 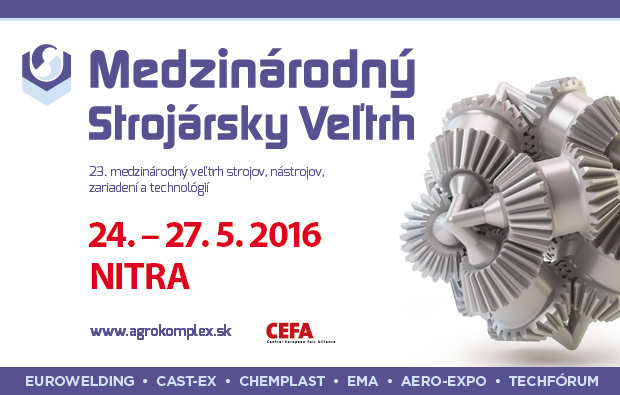 Come to see the laser technologies of LASCAM systems at the 23rd International Engineering Fair, which will be held at the Agrokomplex in Nitra, Slovakia. You can find us at the stand number 23 in the Pavilion M4 during the fair between 24th and 27th May 2016. Are you interested in laser cleaning? You can find more information here.